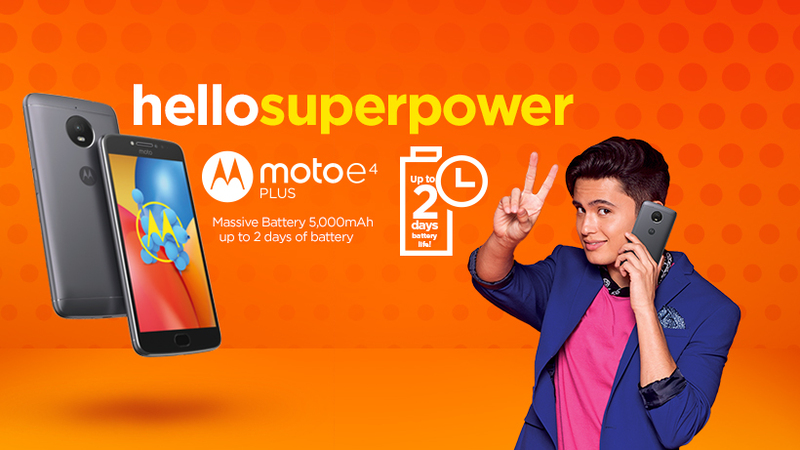 Motorola recently launched the Moto E4 Plus, which features a massive battery and provides exceptional value for money, in response to the needs of today’s dynamic consumers, including on-the-go millennials. Following its local launch in the Philippines, Motorola Moto E4 Plus, can now be availed through Lazada starting today, July 7, and in major retailers nationwide starting this weekend with an SRP of Php 8,999. Moto E4 Plus provides nonstop fun and connectivity, empowering users to do more, enjoy more, and get more out of life. Consumers will find it difficult to put the Moto E4 Plus down: Featuring a vibrant, 5.5” HD display wrapped in smooth metal, the smartphone is easy on the eyes as it is feature-packed. The Moto E4 Plus’s 5000 mAh battery also spares on-the-go consumers from worrying about constantly recharging. And when it is time for a boost, there’s no need to slow down to power up, as Moto E4 Plus works with the 10W rapid charger, which delivers hours of battery life within minutes of charging. The Moto E4 Plus is also equipped with a fingerprint reader, for securely unlocking and accessing the screen in an instant. The smartphone’s advanced camera features a 13MP autofocus rear camera and a 5MP front camera with a selfie flash for capturing beautifully sharp photos – even in low light. Users can share unlimited photos, music and videos with its 32GB internal storage capacity. Moto E4 Plus is packed with Android 7.1, an updated version of the world’s most popular operating system, for slick and fast performance. Exude elegance with Moto E4 Plus’s stylish colors: iron gray and fine gold.